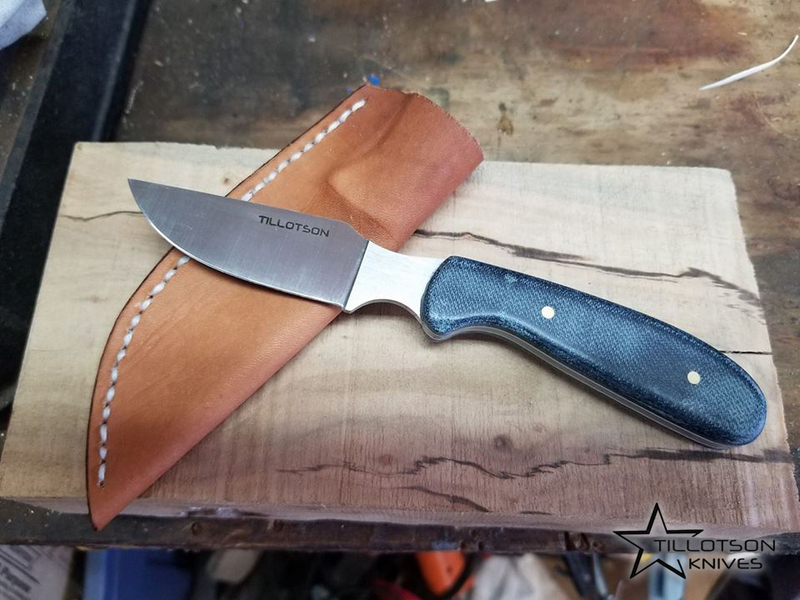 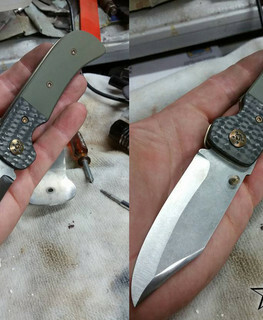 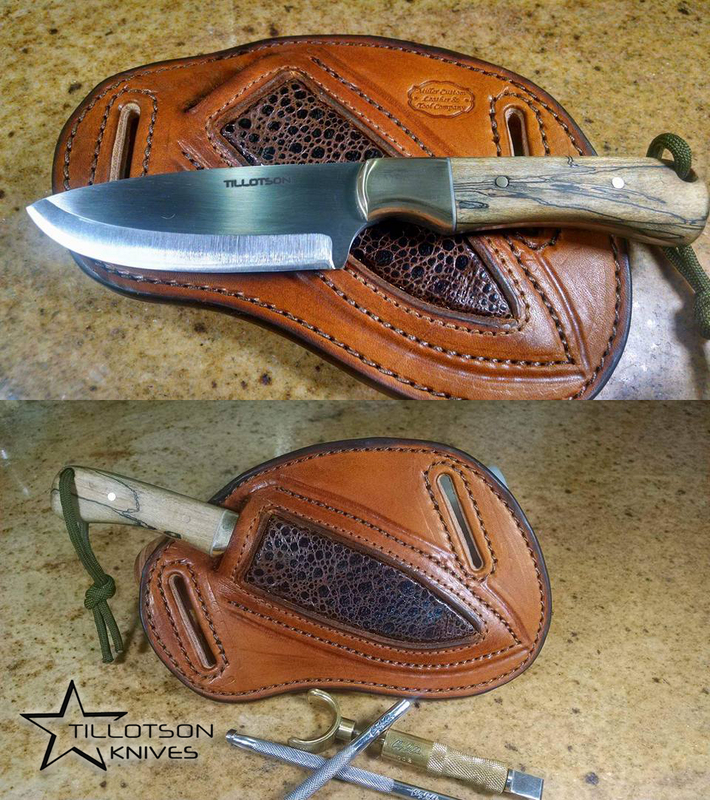 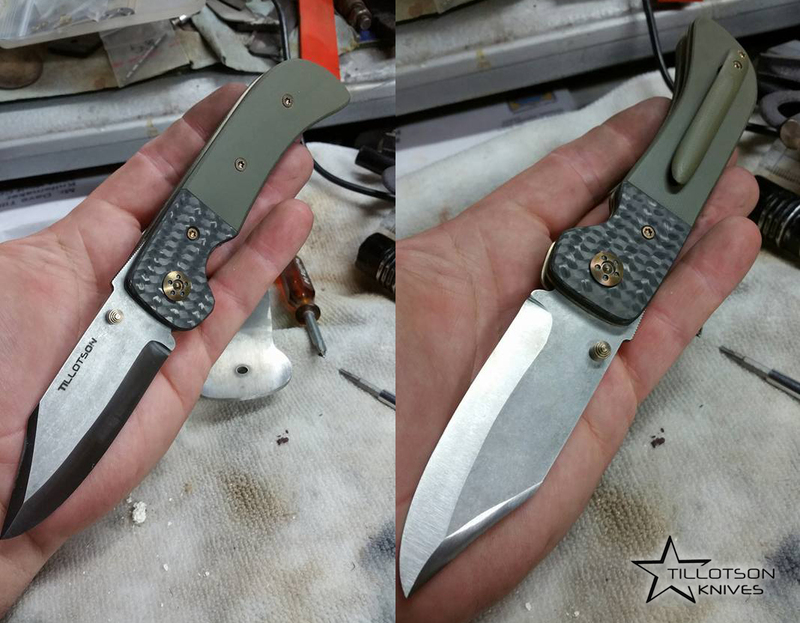 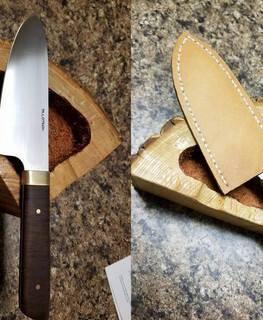 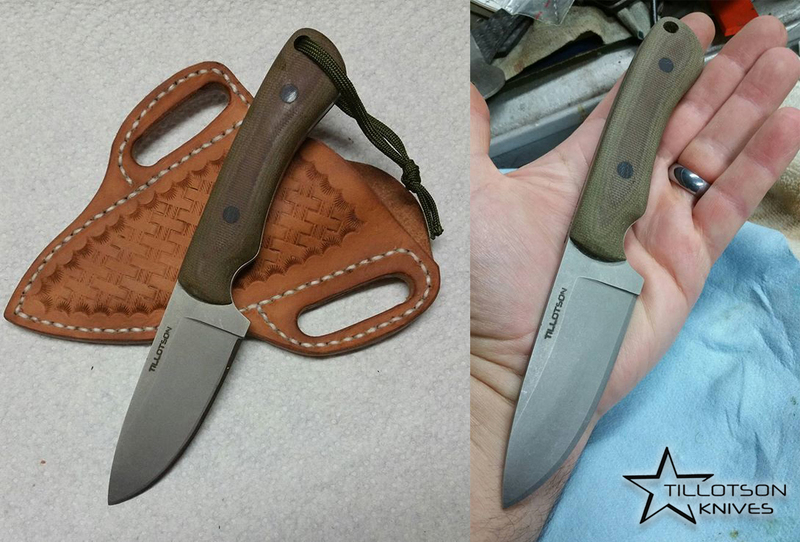 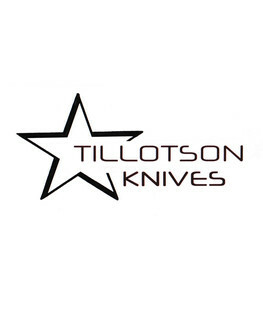 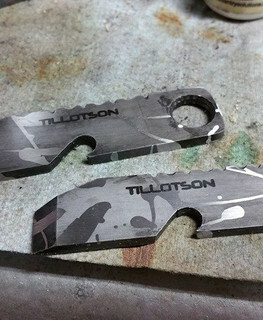 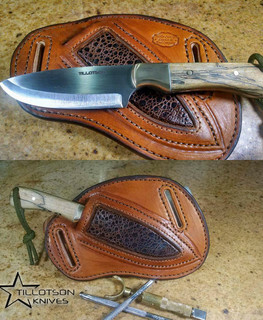 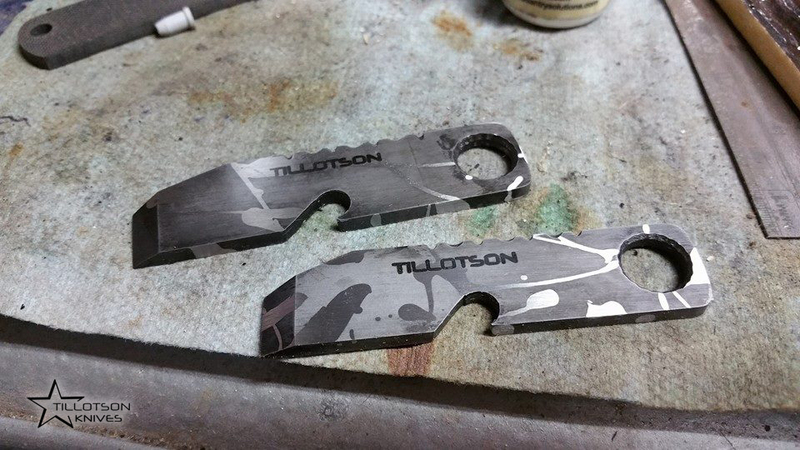 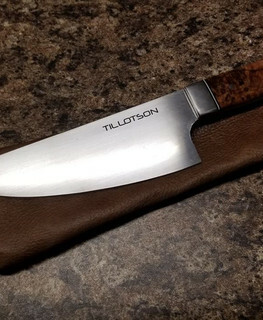 Tillotson Knives - Custom Tactical, Hunting, Kitchen and Folding Handmade Knives in Melissa, Texas. 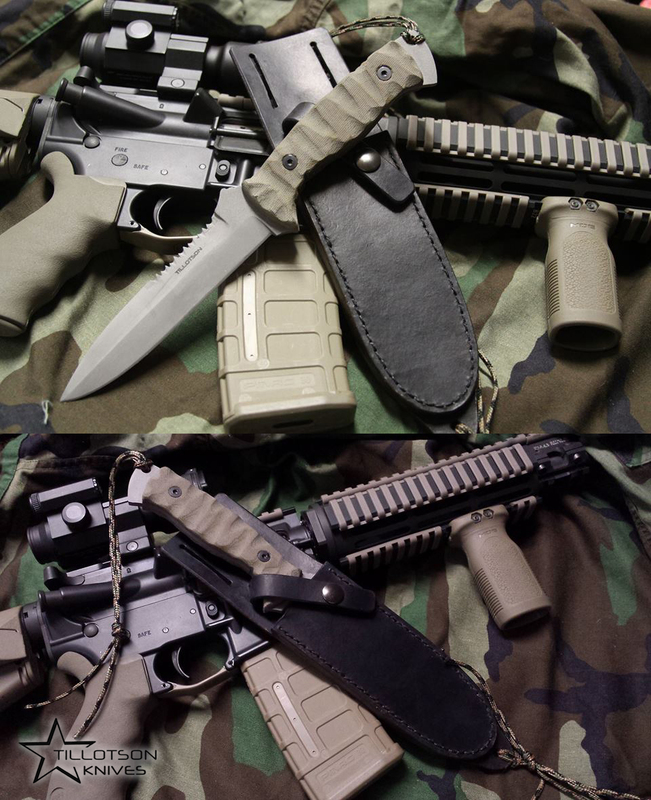 Mini prybars. 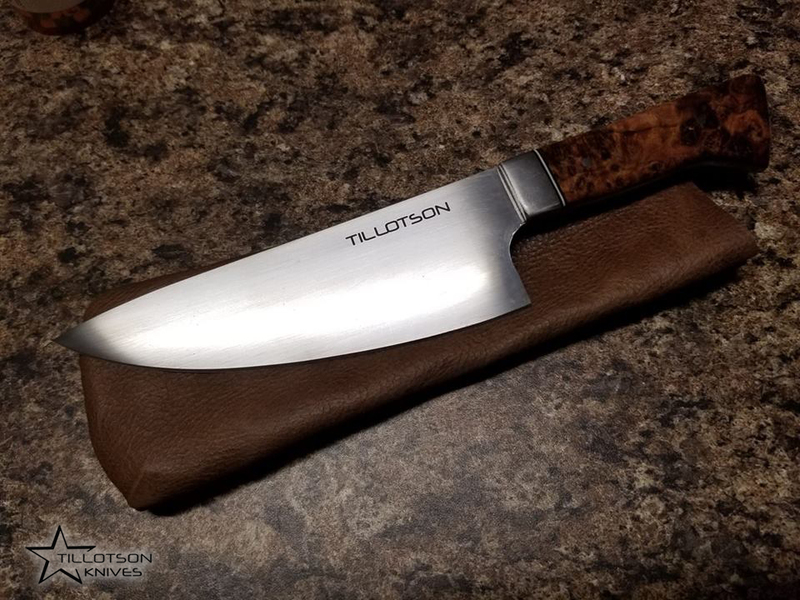 Experience since 2003. 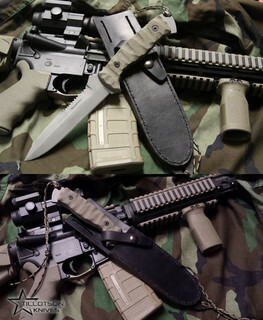 Speaks English. 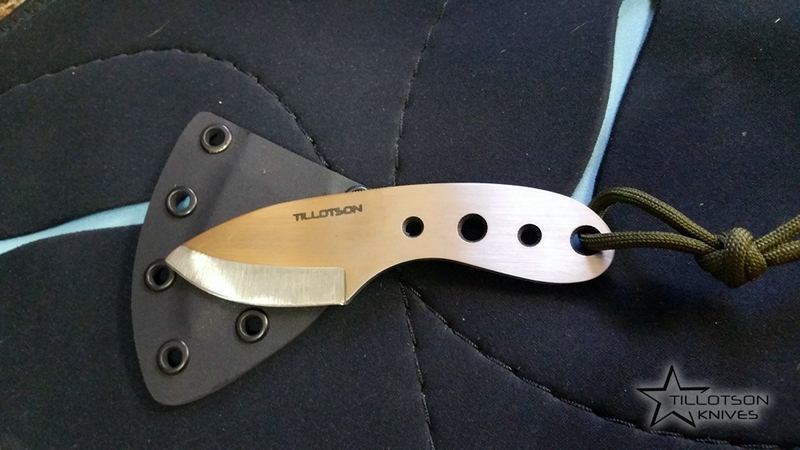 2 5/8" blade with an overall length of 7". 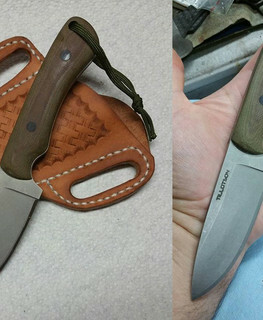 Handmade Wrangler jean handles. 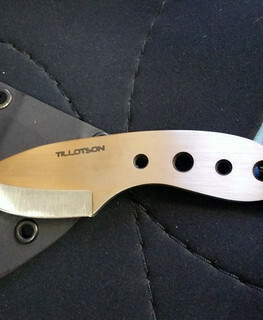 AEBL stainless blade. 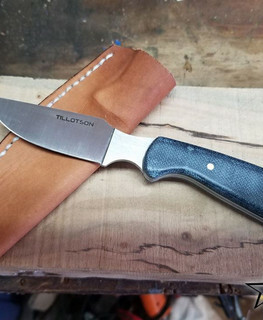 Handmade leather sheath. 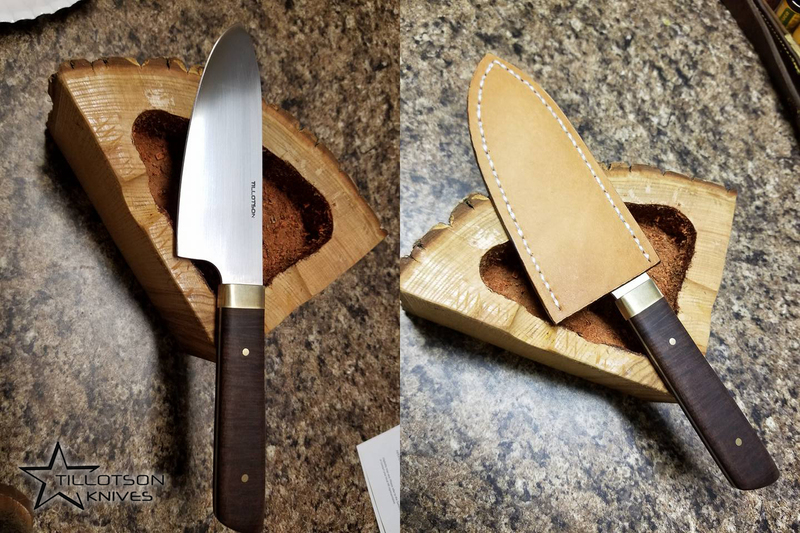 Super sharp.